Apartments were created to offer a minimal amount of space for an affordable monthly price. While this is a perfect bargain for those who wish to save money, it can prove to be a challenge for people who downsize from a house and have a lot of possessions. 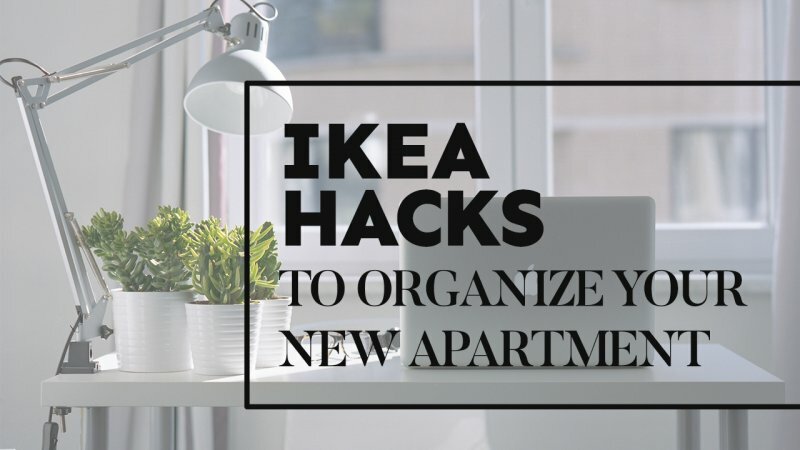 Before you get rid of your stuff, consider using a few IKEA hacks to make the most out of your apartment space and organize it into an impressive living space without spending a fortune. If you find yourself lacking closet space, convert one of your spare walls into a nook-filled closet complete with a dresser. This design centers around two of IKEA’s RAST dressers, six cabinet pull handles, seven closet boards, closet rods and rod holders, a handful of wood screws, and a can-do attitude with a free weekend to delve deep into a home improvement project. This homemade closet created from repurposed IKEA dressers is a stylish organizational hack that will provide several storage nooks and closet space complete with a large chest of drawers that will accommodate the storage needs of any fashionista’s wardrobe. One of the rooms that gets the short end of the stick in most apartments is the kitchen. If you find yourself in need of a way to organize your limited pantry space, consider installing one of IKEA’s rolling drawers into your cabinet or pantry. These rolling drawers will not only allow you to organize your pantry space to make it easier for you to find the canned goods that you need, but they will also pull out all the way to allow you to access the back part of the pantry without uncomfortable stretching and bending. For hardworking apartment dwellers who either work from home or bring work home with them, finding a spot in your tiny place for a dedicated work area is virtually impossible. With a dresser from IKEA and a handful of other supplies, you can turn a dresser into a rolling work desk complete with storage drawers, a writing/typing area, and an upper area for lamps, flowers, stacks of paperwork, or even a cup of coffee to get you through long nights of late work. Don’t neglect to purchase a comfortable IKEA office chair to go with your new rolling desk. The fight for space in an apartment setting is never-ending. If you lack the space for a bedside table, consider crafting yourself a wall hanger to hang next to your bed. This innovative creation requires the IKEA SULTAN LADE bed slat support planks. These are planks of plain wood connected by cloth straps. Just take two steel wall hooks, anchor them into your wall, and hang the set of wooden planks from the wall hooks. You now have a simple and clever storage area for magazines, baskets to hold tiny items, potted plants, or even shoes. Simply purchase some S hooks that can hang items from the wooden planks and you’re set. Your imagination sets the limit on what you can accomplish with this fantastic IKEA hack. 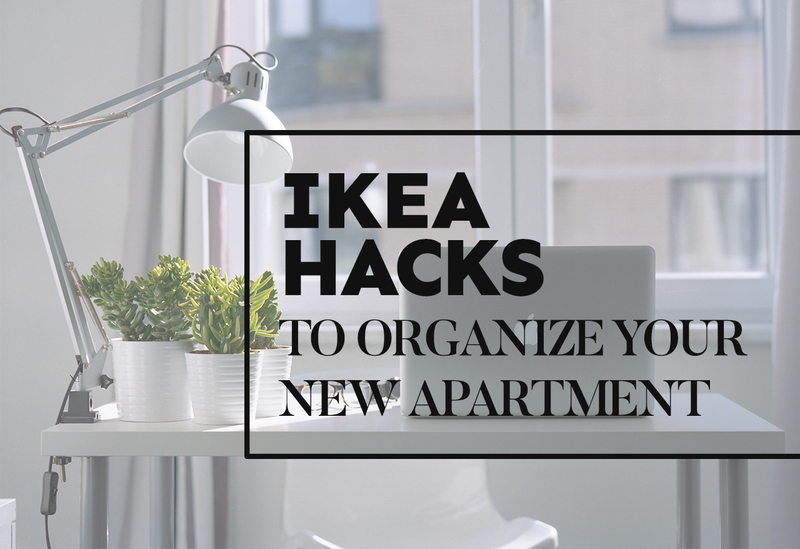 These affordable IKEA hacks can transform even a tiny apartment into a livable and functional space. To find an equally affordable Kansas City apartment moving service, contact Cheap Movers Kansas City. We’ll help you find cheap movers that won’t break the bank.